Lock in your 2018 season tickets now! Season tickets are the easiest and most economical way to ensure that you do not miss a minute of the action! In addition to the same great seats for all 38 ValleyCats home games, season ticket holders receive many exclusive benefits! • The best seats at "The Joe" for all 38 home games! • Easy payment plan requires only $20 up front! 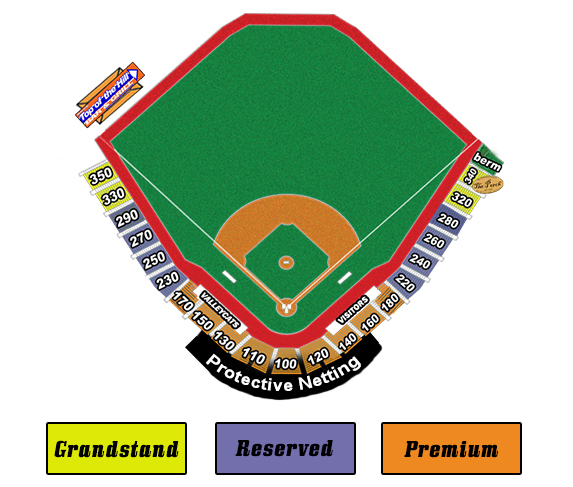 CALL THE VALLEYCATS AT 518-629-2287 TO SET UP AN EASY PAYMENT PLAN THAT REQUIRES ONLY $20 PER TICKET UP FRONT, FOLLOWED BY FIVE MONTHLY INSTALLMENTS. For more details, or to order by phone, please contact Box Office Manager Jessica Kaszeta at 518-629-2287 Ext. 112 or by e-mail at jessicakaszeta@tcvalleycats.com.